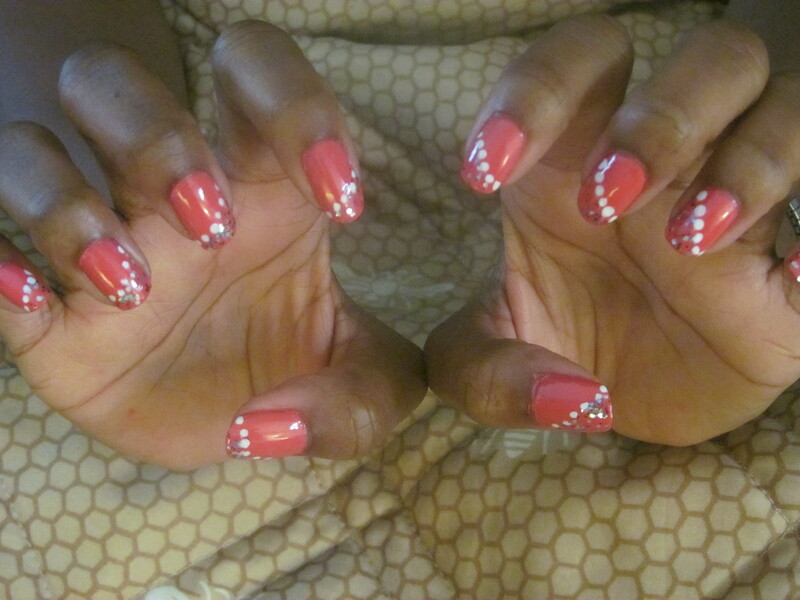 Since boredom took me over this weekend, I decided to try something a little different. Due to some unexpected circumstances last week, I had to leave my house in a hurry, without my nail polish collection and tools needed to o my nails this weekend. 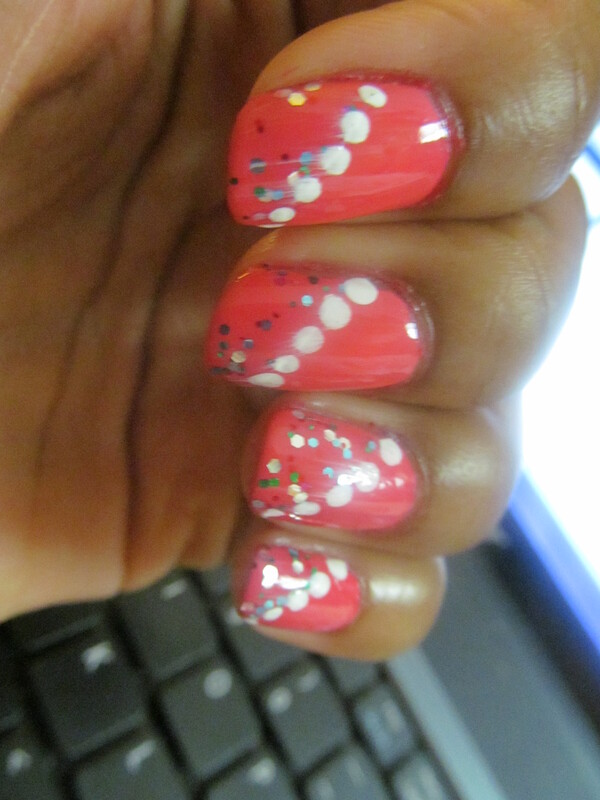 So I had to get a few supplies: 3 bottles of nail polish, tape and a pack of dotting tools. 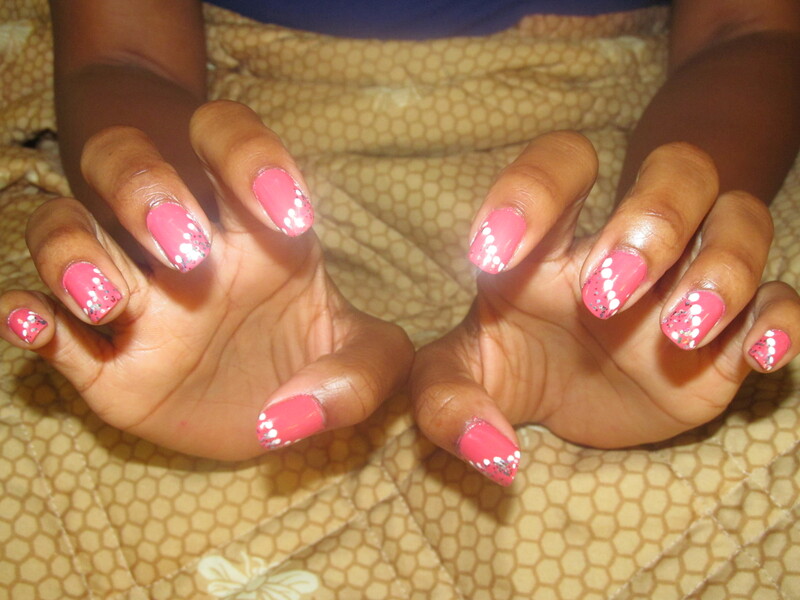 To accomplish this look, I did a base coat and two coats of Wet n Wild Megalast ‘Tropicana’ [#210C], a beautiful bright pink. I taped off an assymmetical triangleon each nail, and did two coats of a Wet n Wild Fastdry ‘Party of Five Glitters’ [#238C], a clear polish with multicolored glitter. 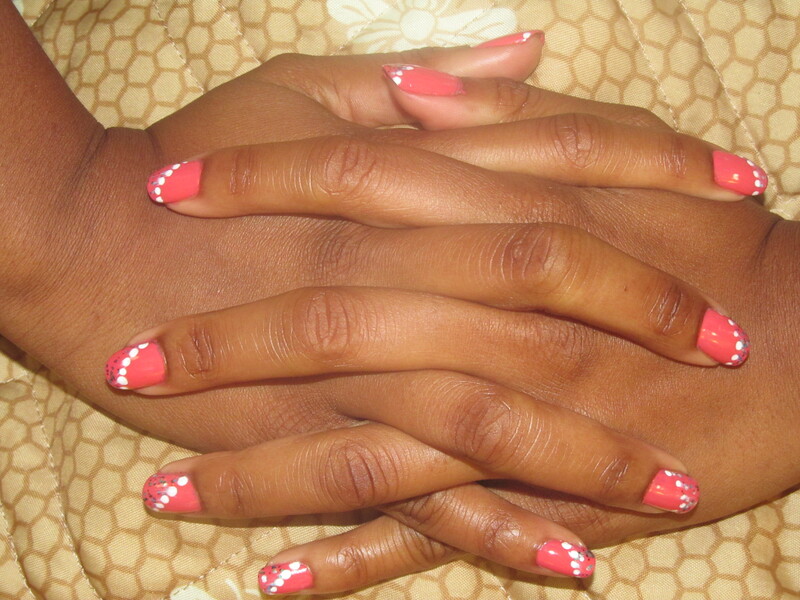 The final touches were white dots with a dotting tool. 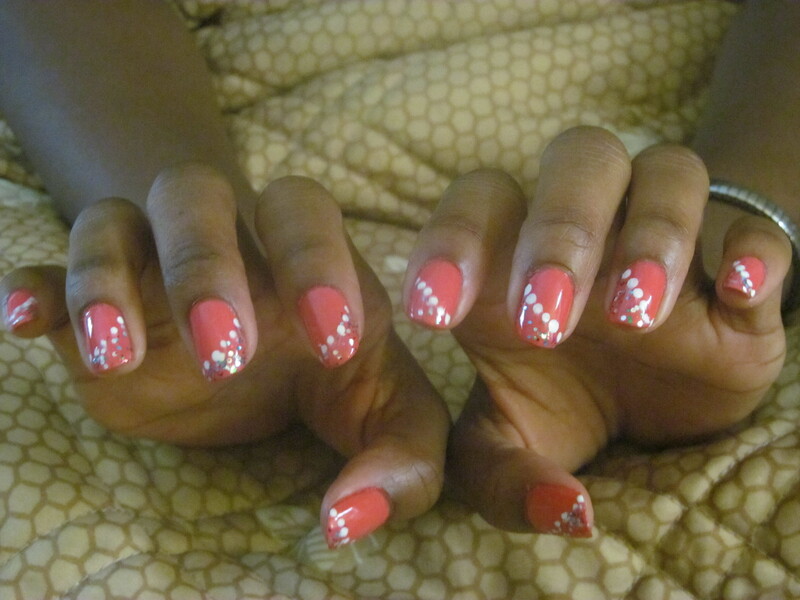 The polish used was Spolied ‘Correction Tape’ [S004], followed by a topcoat. You can imagine how long all of these coats took to dry, but I think it was all worth it :). 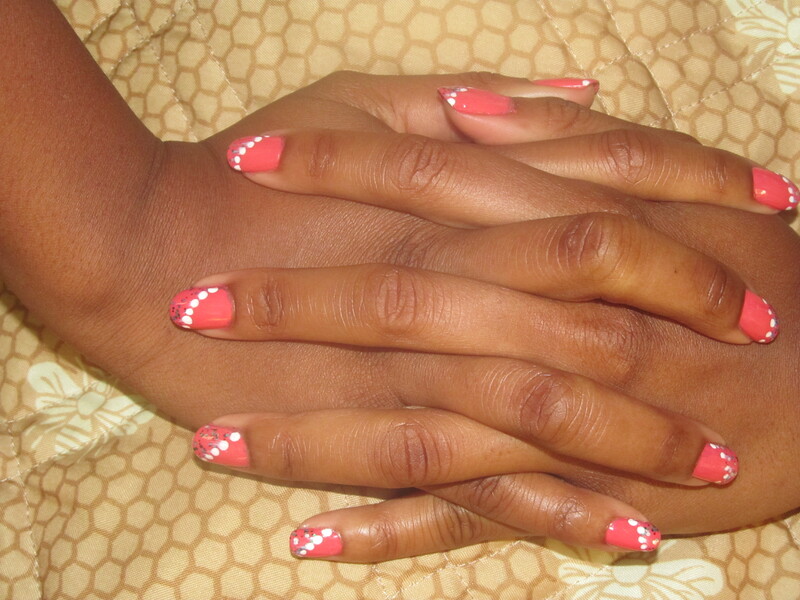 Lovely nails, like your creative design! You can also follow me, and get some ideas when I get started!